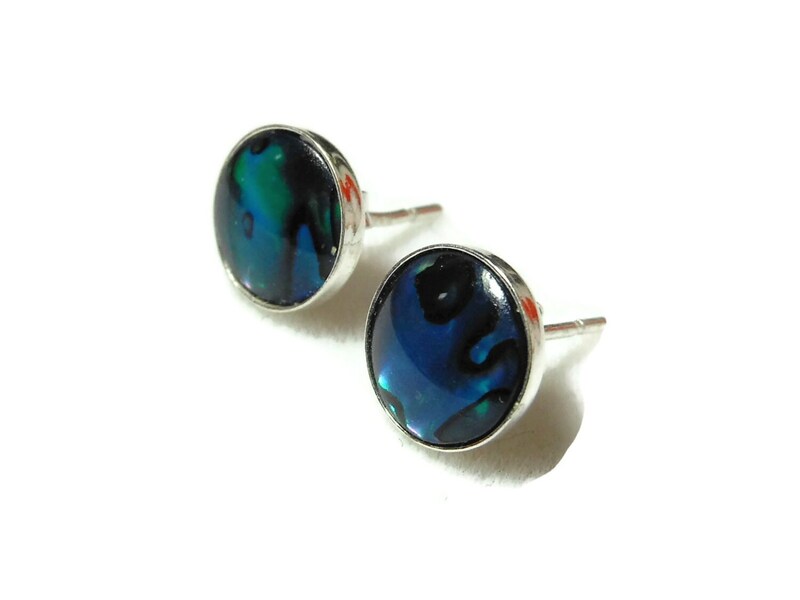 Paua shell earrings, blue paua shell cabochon, sterling silver filled frames and post, pierced earrings, beach wedding bride. Great for a beach wedding! 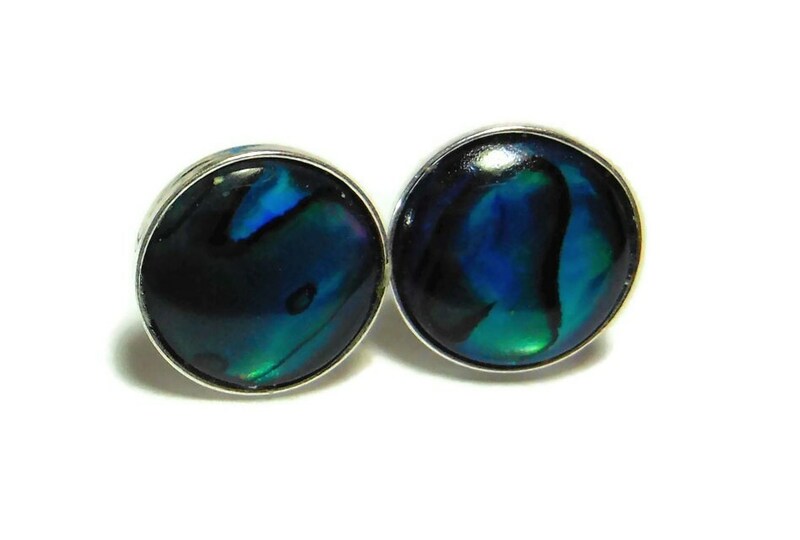 Vibrantly dyed paua shell cabochons are coated to protect against breakage, provide stability and enhance the natural iridescence. 925/10 SF marked on post. 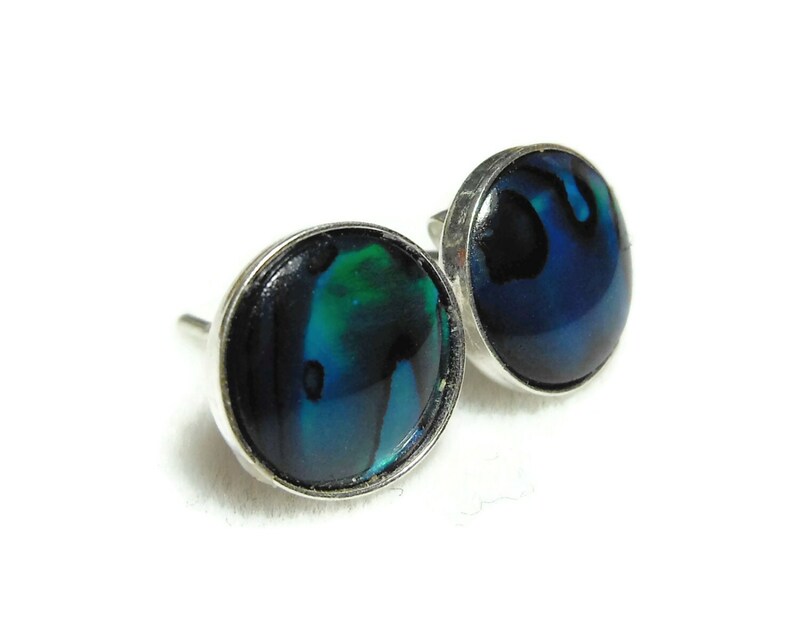 According to traditional metaphysical beliefs, paua shell has been used to stimulate creativity and imagination. 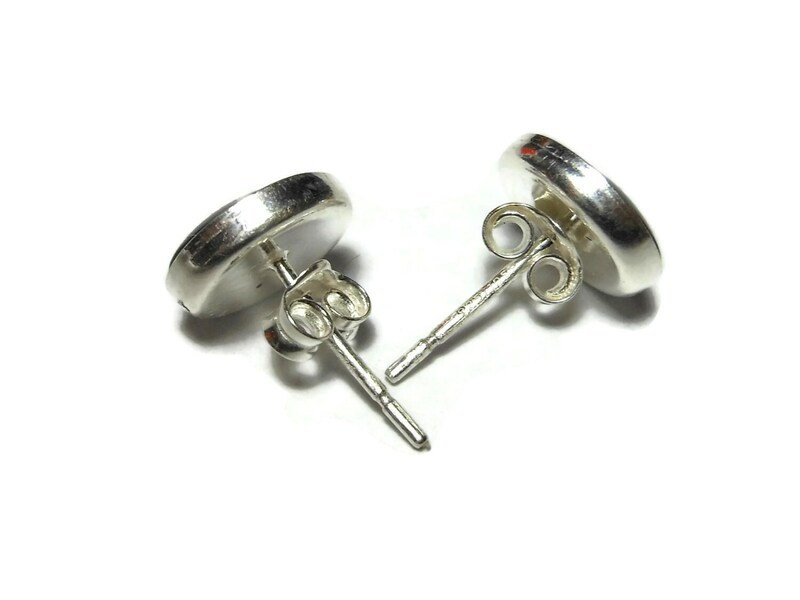 The earrings are 3/8" (1 cm) in diameter.